Most mass notification systems are deployed in organizations to help reach a large number of people in a short amount of time with critical safety messages. Safety should be a top priority for any organization, but most organizations aren’t encountering emergency scenarios every day. The question then becomes: how do you get the most of your mass notification system investment? The answer is to build out your mass notification ecosystem to incorporate devices, systems, and sensors, that can automate notifications and triggers for every day uses. 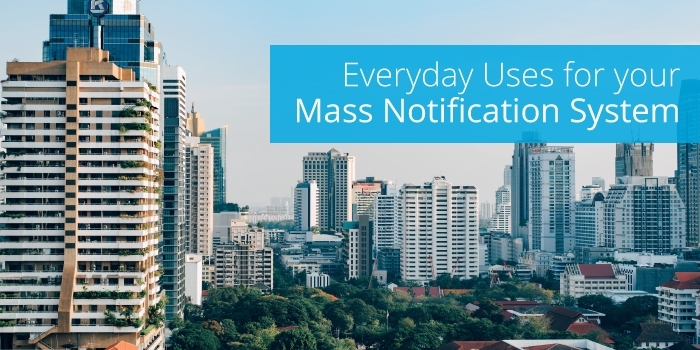 In this blog post, we’ll provide examples for different ways organizations can leverage their mass notification system every day. Nothing can be costlier to a business than downtime. Having to pause work can put people behind schedule, lead to overtime and overall cause a disruption that can be difficult to recover from. Mass notification systems can help with this issue in several ways. With connections to electronic sensors that have the ability to send emails, officials can be notified faster when an issue arises. For example, a glass manufacturing plant uses our InformaCast software to send alerts using our inbound email functionality. The plant works with molten glass, so it is difficult and costly to shut down operations. They tied InformaCast into their process control software to alert onsite workers and send alerts should something go wrong after hours. An email is sent from the software to InformaCast which then triggers an alert. Since people are alerted about issues much sooner, the response is faster and the damage caused is minimized. Many organizations utilize mass notification to help with safety events related to workplace violence, but they also need to think about protecting their people from potentially dangerous work environments as well. An ice cream manufacturer uses ammonia to help process their diary. If the ammonia concentration in the area ever got too high, localized ammonia sensors that would go off alerting those in the immediate area. The problem was, those local sensors did not alert people who may be passing through the area, like forklift drivers. The manufacturer connected InformaCast to the ammonia sensors using a contact closure gateway. Now, when the ammonia sensor is triggered, a plant-wide evacuation alert is sent to notify everyone to stay clear of the area. This improved safety and also reduced the number of compensation claims filed by workers for ammonia inhalation incidents. 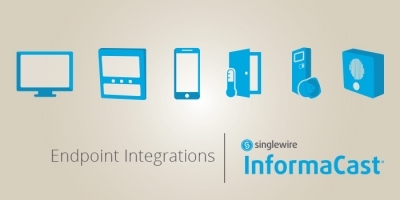 A mass notification system can automate processes, but it can also halt them if necessary. This can help organizations avoid wastefully activating certain systems when they aren’t in use. A school in Illinois had urinals that would flush at regular intervals over the course of 24 hours, but the school realized they were wasting water by having the urinals flush outside of normal school hours. Using a contact closure gateway, the school was able to connect the flushing system to InformaCast. Then using the InformaCast bell scheduling tool, the school set up a schedule that would discontinue the flushing during off-hours, saving thousands of gallons of water from being wasted. 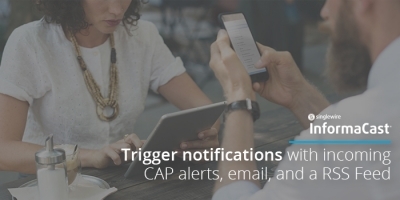 In addition to cost, time, and waste savings, there are two other benefits to finding everyday uses for your mass notification. First, it helps your team get familiar with the system. When you only use mass notification for emergencies, it can delay the speed at which a message gets sent. If people are unfamiliar with how to use the system or have only been trained on how to use it once, they may need to waste time looking up instructions or passwords. If they have reason to log in and use it regularly, that issue disappears. The second benefit is testing. 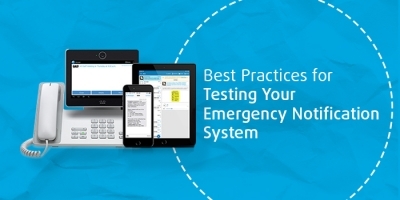 Everyday use for non-mission-critical tasks helps ensure your system is working properly. When issues do arise, you can resolve them during periods when you are not relying on the system to communicate critical information to your people. These are just some of the ways organizations are leveraging mass notification for everyday use. Visit our case studies page to find more stories about how you can take full advantage of your investment to begin saving time, money and waste using mass notification.